BLOGX 2019 CONFERENCE will be conducted from 8th February to 8th March 2019 at Eros Hotel, New Delhi. 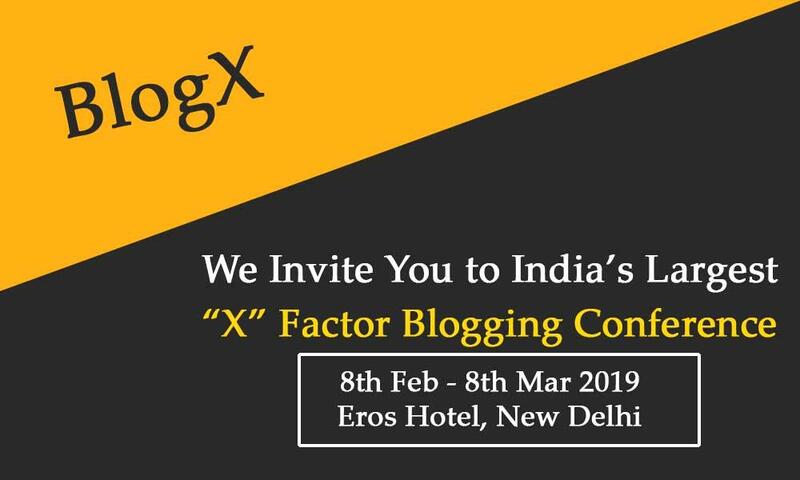 India’s largest blogging and content creation "X" factor community conference, BlogX will live from 8th of February to 8th of March 2019 at Eros Hotel, New Delhi. It is a great opportunity for bloggers to enhance network, collaborate and learn from brands, sponsors and each other. BlogX connects bloggers and brands directly to create long-lasting collaborations and the conference acts as a stepping stone to that mission. If you are a blogger, we can meet at BlogX 2019! Hurry up and book tickets at flat 50% discount now! We want to hear your stories; we want to hear from you. You can reach us at 9871484612 or at help@blogx.in.